Empire: Four Kingdoms Players Conquer Cologne! 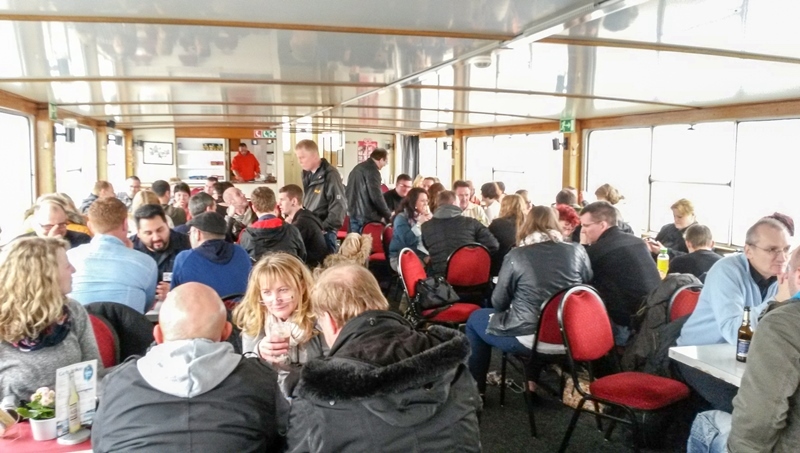 Our colleagues Caro and Steffen didn’t mind getting up early last Saturday – they were on their way to Cologne to take part in a big get-together exclusively organized for the Empire: Four Kingdoms fans! Almost 100 players gathered on Saturday afternoon at the square next to the world-famous Cologne cathedral and gave our colleagues a warm welcome. 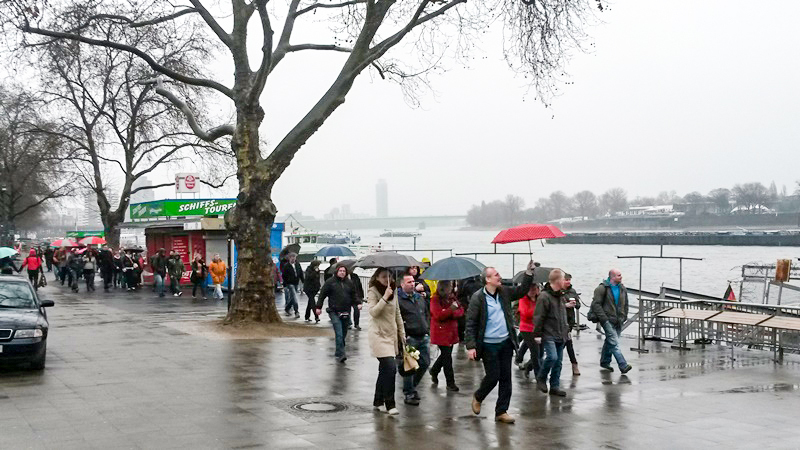 Despite the rain all the fans were in high spirits and everyone set off towards the Rhine where a ship was already waiting to take them on a cruise. After everyone had picked up a drink and taken a seat, it wasn’t long until all of the mobile devices, smartphones, and tablets were out and the games began – Empire: Four Kingdoms style! 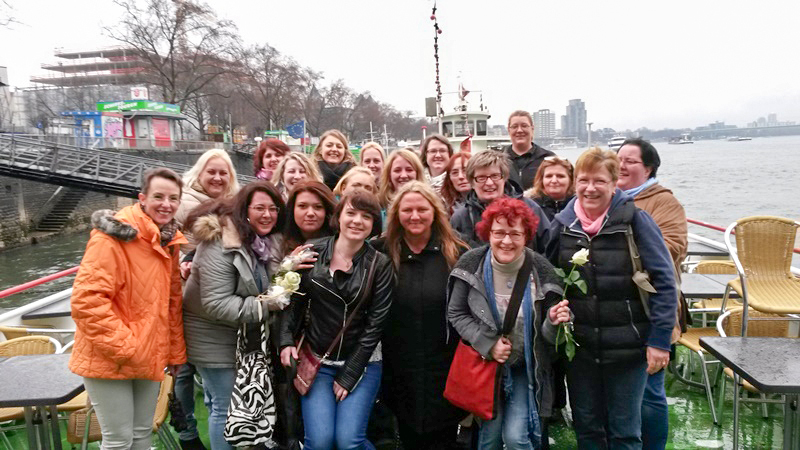 The fans had come from Austria, Switzerland, and all over Germany to meet each other in person and exchange ideas. They talked shop about the cleverest recruitment and attack strategies and shared plenty of amusing anecdotes from the player community. At the end of the boat cruise, Caro took pictures of the 20 female attendees to prove that not only men can be passionate about gaming. Afterwards the troops visited a restaurant to fill up on one of the most important resources: food! All participants did a fine job of moving around and changing places, meaning everyone had a chance to talk to each other. 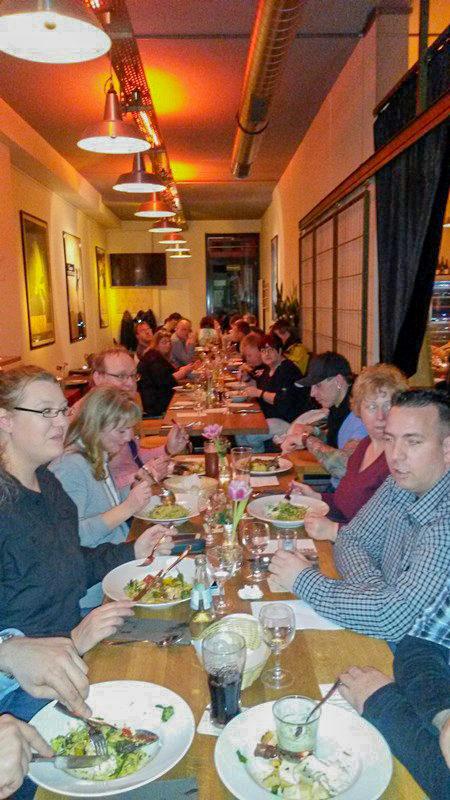 Lots of contacts were made, old acquaintances reunited, and the evening was filled with fun and laughter. Even during dinner, many of the fans continued to work on their castles and took advantage of the opportunity to trade resources with those across the table. We’re happy that our players meet not only in the virtual world of Empire: Four Kingdoms but also connect in the real world and have become good friends, or even couples!